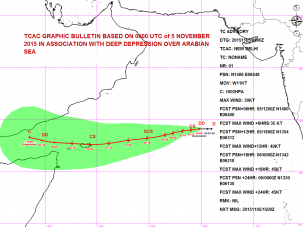 The India Meteorological Department’s forecast track has Megh making landfall in Yemen—again—but with the potential for a grazing strike on Somalia first. 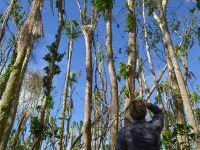 If the intensity forecasts are right, the winds should not be terribly destructive, but it will still pose a considerable threat; even tropical depressions can produce a lot of rain, and the impact of a severe rainfall event can be even greater in this very arid region than it would be elsewhere. 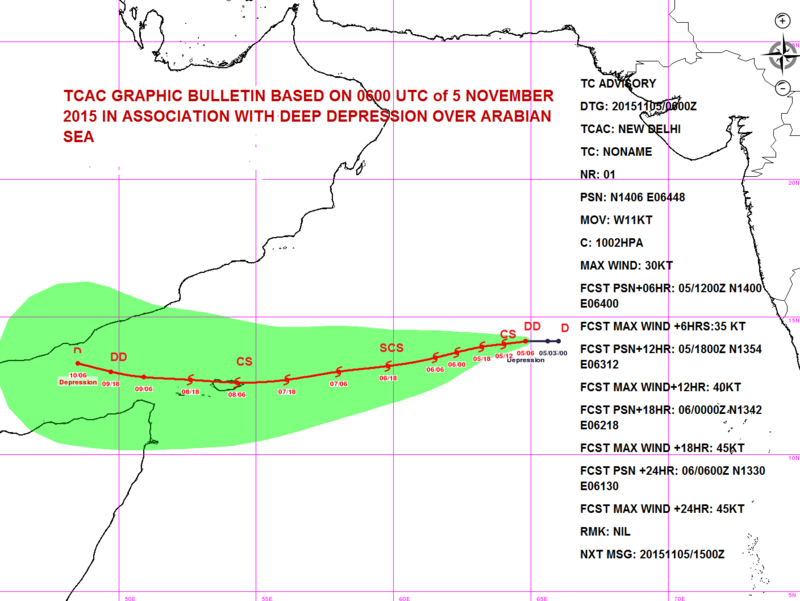 Recent track forecast for cyclone Megh (not named yet at the time of this forecast) by the India Meteorological Department. At the same time, a new disturbance is brewing in the Bay of Bengal. India Meteorological Department forecast of “Genesis Potential Parameter”—a number proportional to the probability of tropical cyclone formation—for Nov. 8 at 00 Universal Time. At least some models are predicting that this one will become a tropical cyclone as well within a few days. If this were to happen, it would be a very rare event, in that there would be a cyclone forming in both the Bay of Bengal and the Arabian Sea in November. While a cyclone in either the Bay of Bengal or the Arabian Sea in November is not terribly uncommon—the most typical months for cyclone formation over both seas are those either right before the July-September monsoon season, or after it—only once since the start of the modern satellite era in 1979 has a cyclone formed on both sides of the peninsula in November, according to a study published by Amato Evan and Suzana Camargo in 2011. 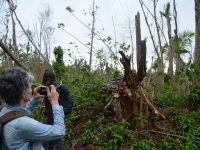 This post courtesy of the Columbia Initiative on Extreme Weather and Climate.